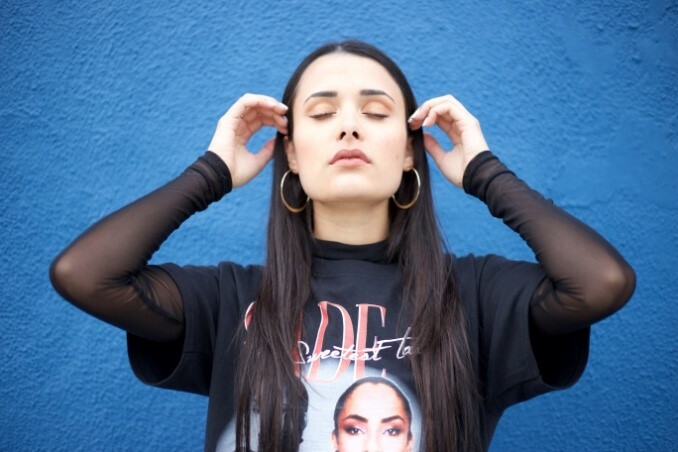 Liz Lokre, Produced by Toronto native and musician Adrian X, share a love of the R&B, reggae, international pop and elements of what’s become known as the ‘Toronto sound’. Together they created the sound of the LZL collective. Liz’s first single titled “Rise Up” was a song that sparked a movement, gathering people from all walks of life to ‘rise up’ for what they believe in. Surrounding her the release of her recent single “Rise Up!” LIZ has started #RiseUpMovement, encouraging people to focus on their strengths, on what their gifts are and what they can give back. On days off, she hosts workshops for Grade 7 and 8 students talking about self-esteem. “Buh Bye” is a dance floor anthem that uses ear-catching guitars and seductive style synths. “Rise Up!” and ‘Buh Bye’ have racked up over 700,000 spins on Spotify and they are calling cards for a talented and confident new artist, one whose message speaks to unify and uplift, a grounded and gifted performer, one whose own ascent is clearly on the path ahead of her.